There was absolute silence. My peaceful sleep was disturbed by my cell phone alarm. It was 3AM. Yes, I was sleeping in our guesthouse at an army camp in Leh. It was my responsibility to wake up everyone else so that we can be ready by 4AM. After quick ablutions we were ready by 4:15 as we heard LangChung honking his scorpio. We hit the highway in no time with the army clearance arranged at all check posts. Why did we leave so early? There was a reason. 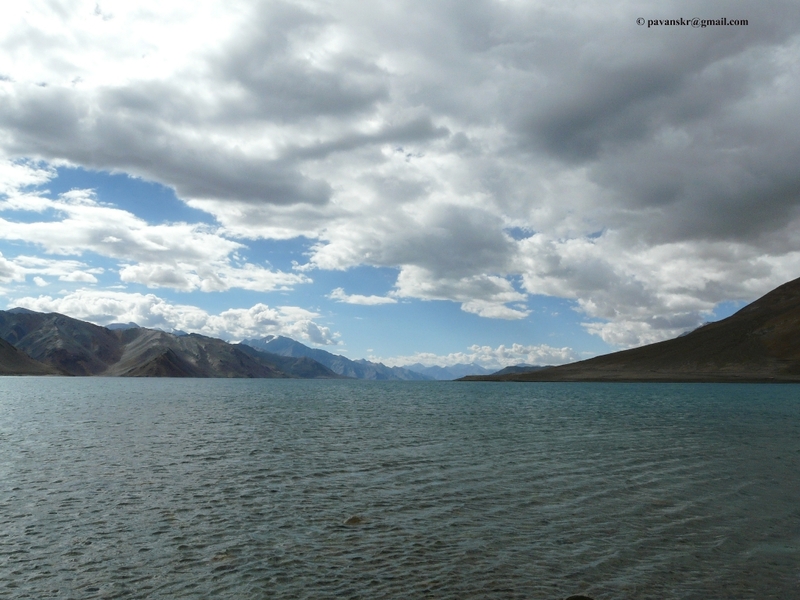 We had decided to visit Pangong Tso – One of the most beautiful lakes on earth. As elders say, the most beautiful of the things are not easily accessible. The road to the lake crosses a few streams and it has to be crossed very early in the morning and come back before 10 AM. The water levels increase due to melting of snow in the day time making it impossible to cross it. If we are stuck on the other side, we’ll have to spend rest of the day and night by the lakeside. 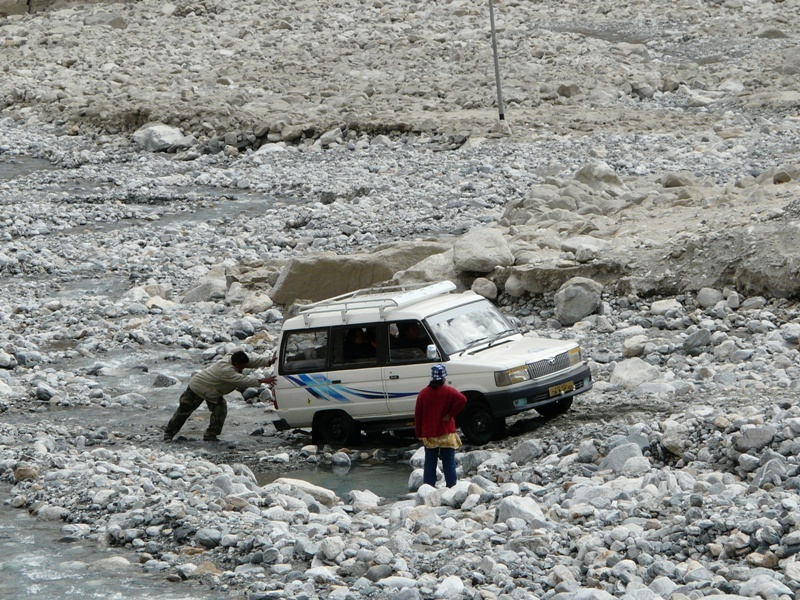 We were happy to be there on time but on seeing the stone clad river bed we felt it would take a hummer to cross it. But all it took was none other than the confident LangChung and his impressive scorpio to do it. 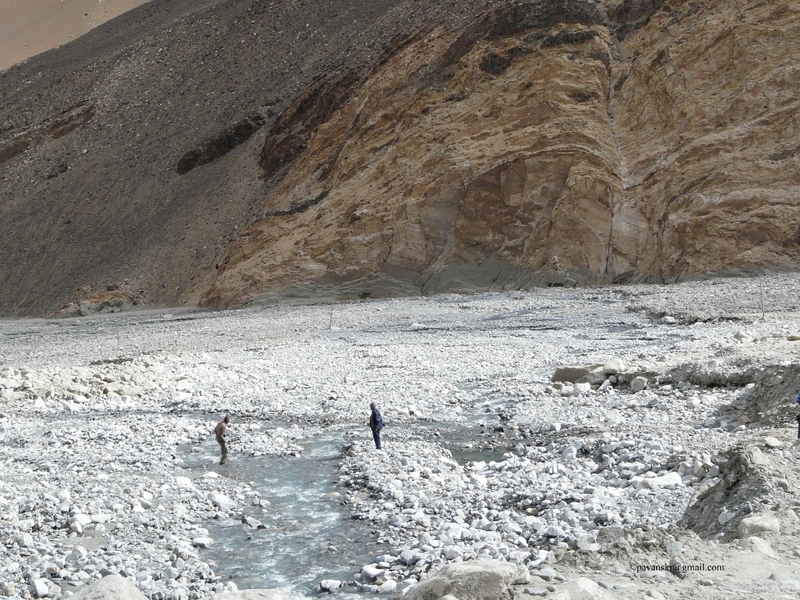 He asked us to get down and cross the river bed on foot and arranged the small rocks and stones so that the vehicle could pass. He then drove the vehicle in what could be –the best scorpio Ad- style. 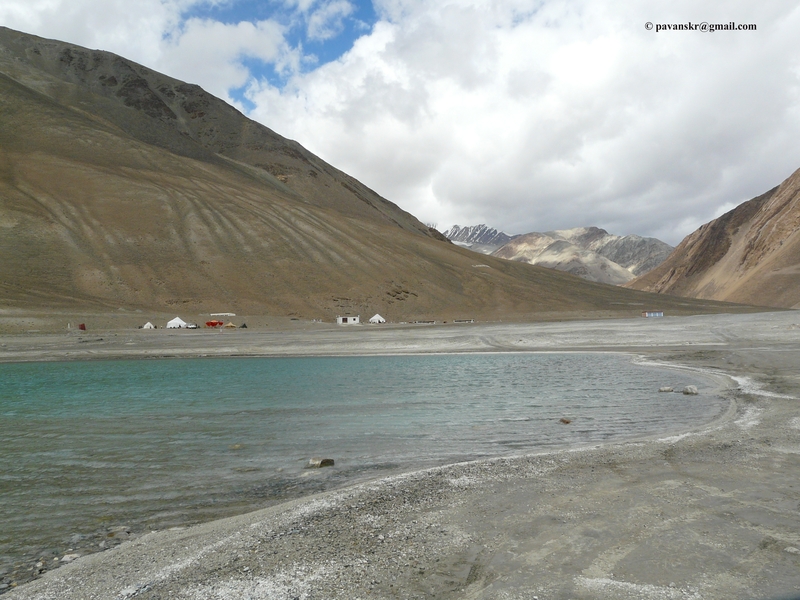 We caught a glimpse of the lake from a kilometer but the view on reaching the lake bed really pleased us. It was a never seen before beauty of the lake with the entire spectrum of light sketched on its surface by the just born sun. 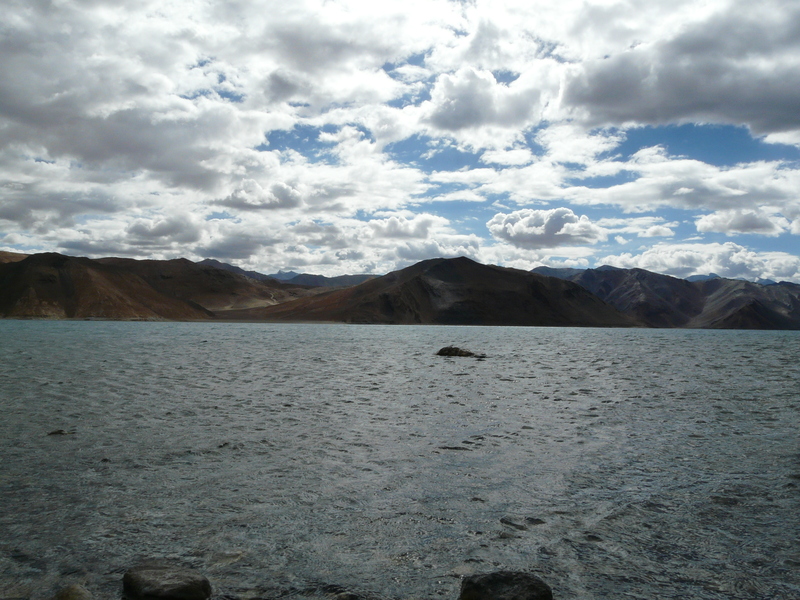 The reflection of those huge mountains in the lake and fresh oxygen annihilated all our tiredness and sleep. 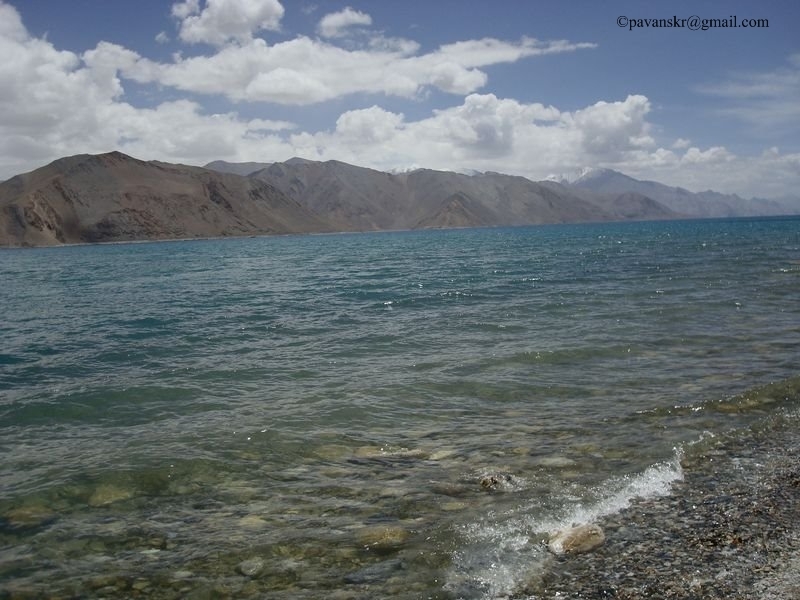 Only 1/4th of the lake belongs to India and 3/4th of it belongs to China. On the lakeside there is a small check post and a shop – The last shop of India where you can purchase clothing and a few antique pieces. We roamed around the place until Langchung threatened us that we’ll have to spend rest of the day and night here if we do not leave immediately. 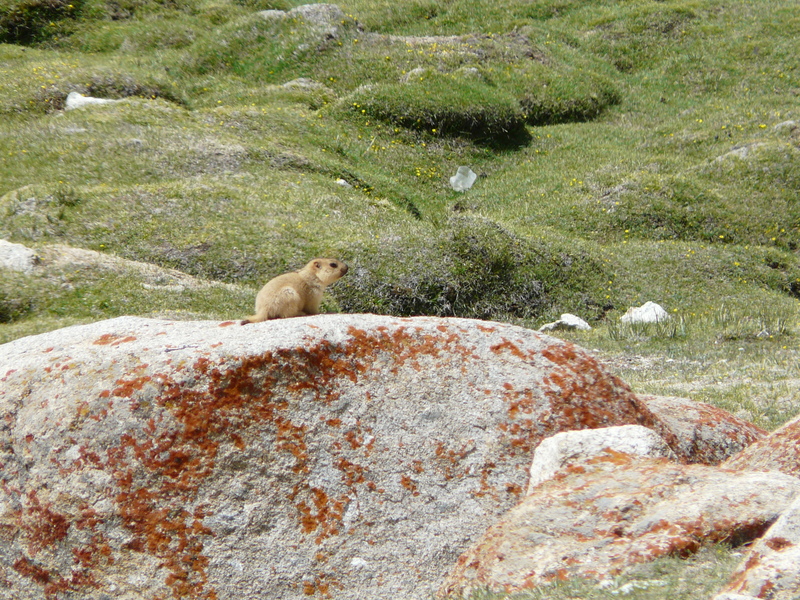 On our way back, after crossing the river bed, we stopped at many places and I caught a Himalayan Marmot in my camera. We stopped at Chang La where the visitors will be greeted with tea by the Army people. One of my friends threw up again! Believe me if not acclimatized properly, AMS can hit you anytime. 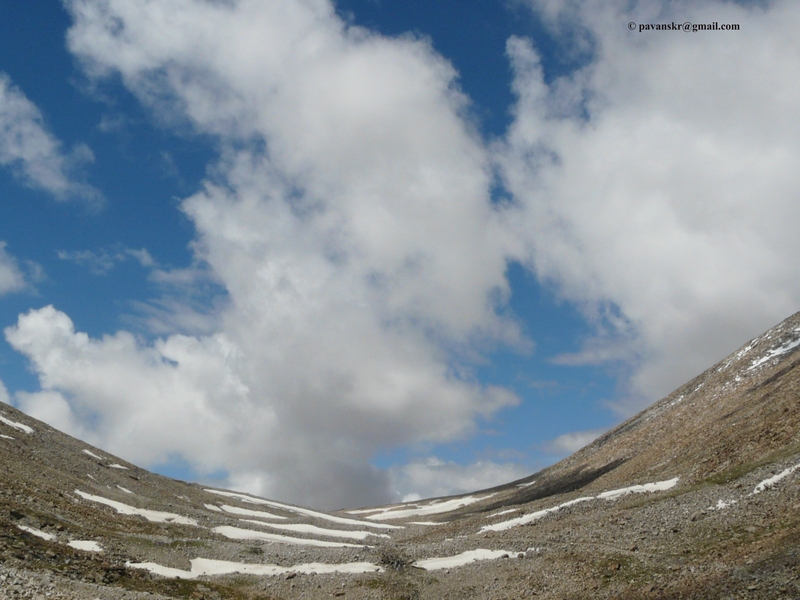 We reached Leh at around noon and bid goodbye to Lang Chung Tsering promising him our return to the place again. 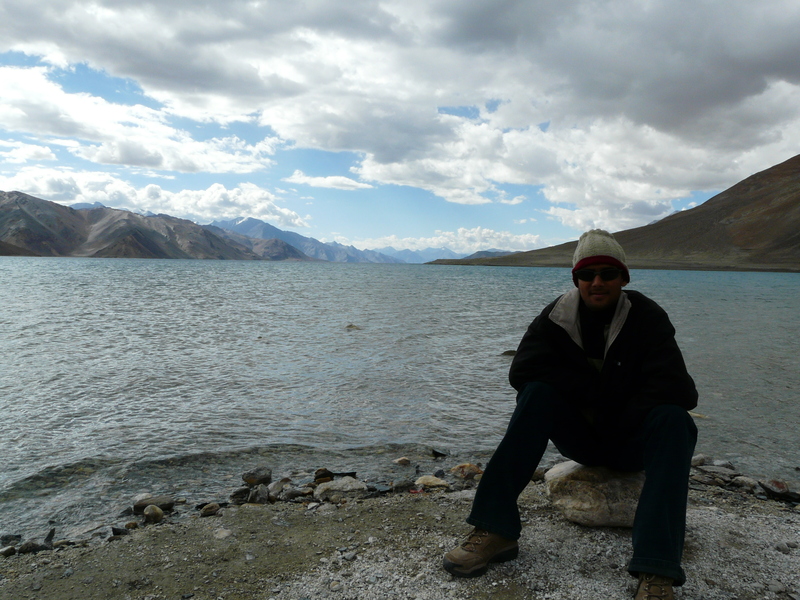 After a good lunch and sleep, I went around the city of Leh the same evening with one of my friends. Roamed around it’s famous bazaars, antique showrooms, cloth street, vegetable market. The people are extremely friendly and soft spoken. Be cautious when you are trying to buy antique show pieces or the famous kashmiri tea makers. It is advised to go with a trustable localitie for any kind of shopping. 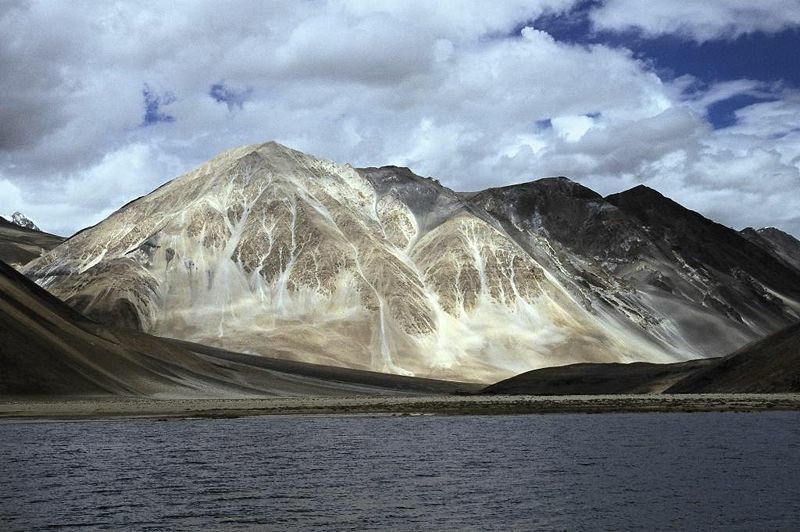 One can avail the extremely cheap shared cab facility to reach any place within Leh. We took a drop in one of those till the airport and walked back to our guest house. We packed our bags and talked to Capt. Upul and thanked him for all his hospitality before retiring to bed.